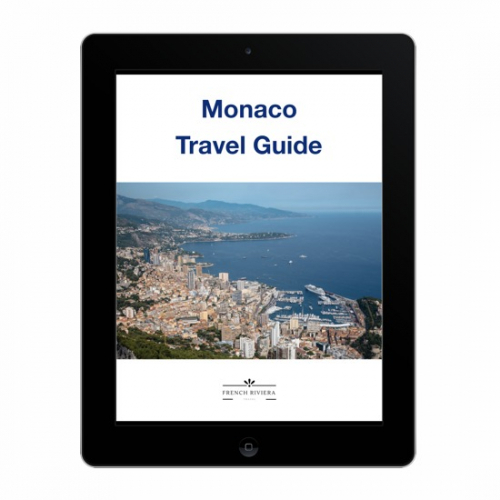 What and where to eat in Nice? My favorite places! 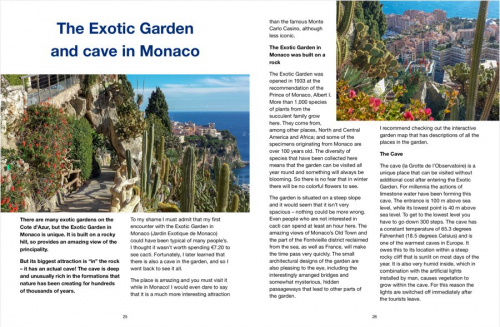 Home/French Riviera holidays/What and where to eat in Nice? 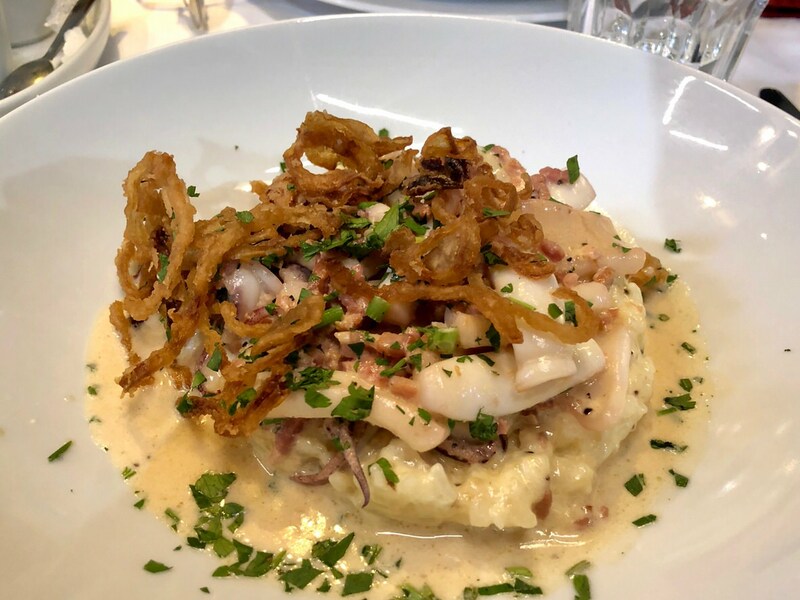 If you are visiting the French Riviera, you are definitely going to be wondering what to eat; which restaurants are good and cheap in Nice, and preferably even those recommended by residents. So to answer these questions, here is a list of verified places and a description of traditional regional dishes. Now you know what and where to eat in Nice! 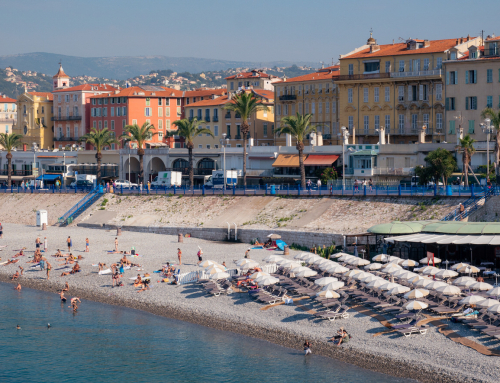 The eternal problem for every tourist is the question what and where to eat in Nice? I am one of those people who like to eat well, and my mood later on depends on it. The French Riviera is overflowing with great food, so a visit to almost any restaurant should end in a satisfying feeling of fullness. Unfortunately, it is also easy to find unpleasant service and, definitely, high prices. That’s why I have prepared a list of selected restaurants in Nice where I or my friends have eaten. These are not always the cheapest places, but we have always been happy with the food and service in them. First, however, it is worth knowing what to order. Especially if you like culinary tourism. 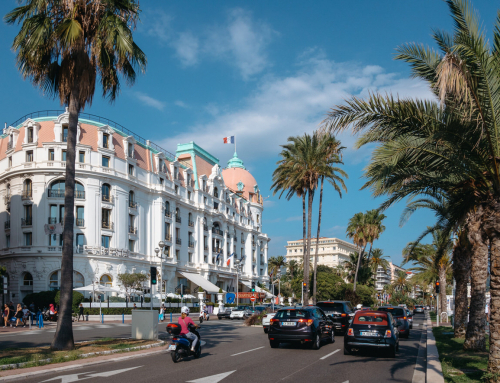 What to eat in Nice and on the French Riviera? The most traditional local dishes are simple and not very sophisticated. However, this does not deprive them of taste. Being in Nice it is essential you try a dish called Socca. It’s a pancake made from chickpea flour, olive oil, and salt, generously sprinkled with pepper before serving. At the fair, it is sold haphazardly cut into pieces in paper tubes, but in restaurants you usually get a whole pancake on a wooden board or plate. Socca is also found in a version with olives and anchovies. A second and equally simple dish is Pissaladiere – caramelized onion on a cake that is reminiscent of a slightly thicker pizza. Here, anchovies or olives can also be added. When ordering Pissaladiere you will usually get a sizeable piece cut out from a larger piece. Beware the olives! On the Cote d’Azur, olives that are added to pizza, socca, or other dishes, most often have seeds! My favorite regional dish is Petit Farcis. It resembles meatballs on grilled vegetables and is always served straight from the oven – you have to be careful not to get burned. 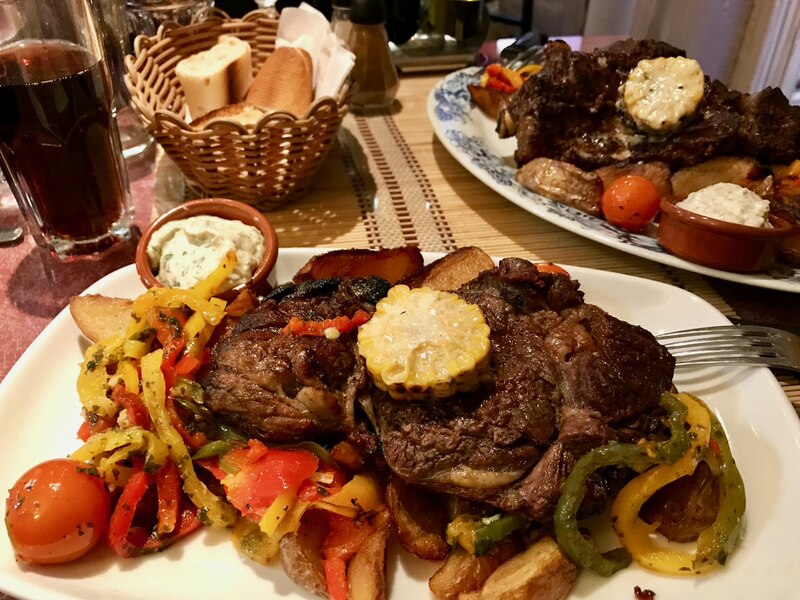 In one serving there are usually three Petit Farcis, but of course you can order more. The ingredients of these small snacks is minced meat, egg, garlic, and spices. This is the stuffing that fills the vegetables, for example, zucchini, tomato, eggplant, and then the whole thing is baked. Tiny, but how delicious! The last of the simple dishes is basically an addition to a baguette. I mean tapenade – something like an olive paste. You do not need to be a genius to know that green and black tapenades are made from olives. But it would be remiss of me if I did not mention the Nicoise salad too. Its ingredients are freely chosen by different chefs, but it always contains tuna. When ordering a Nicoise salad on the French Riviera, you should expect a really solid portion. 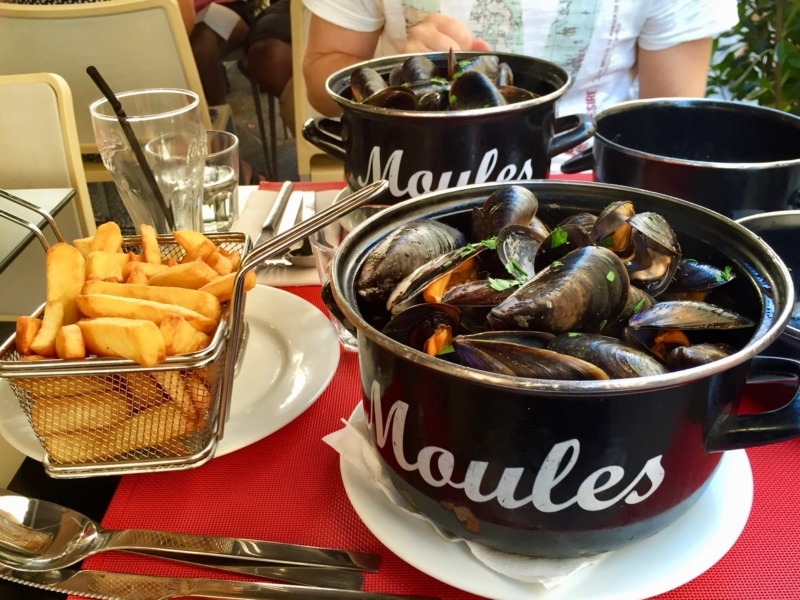 In addition to specifically regional cuisine, it is worth adding that the most popular dishes on the French Riviera also include pizzas, pasta, seafood (including mussels always served with fries, which surprises all my guests), steaks, and pancakes (usually sweet, and most often with Nutella). 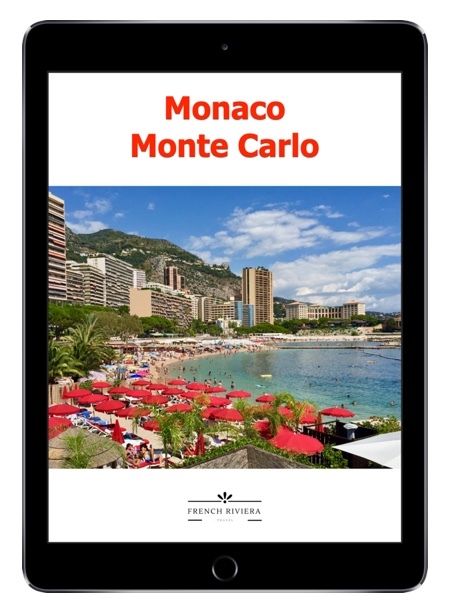 Below you will find a list of restaurants and small bistros in Nice, recommended by me and by my friends. We have eaten at all these places and liked them. I have divided them into several categories. Lou Kalu, 12 Rue Saint-François de Paule. For €20 you will get a sample-board of local delicacies (without Petit Farcis, which can be ordered separately), but there is also a menu with local food that you can order in portions (for a few euros). The service is quite slow, but the place is in the city center, and the food is tasty. Lou Pilha Leva, 10 Rue du Collet. Another place that has cheap local food in the Old Town. You eat on the benches set on the street and you often have to wait in a queue for your portion. Chez René Socca, 2 Rue Miralheti. Going from the Old Town to Garibaldi Square, you pass a small place where there is always a big queue. This is probably the most popular place with traditional local food. I do not like queuing, but if you don’t mind, why not try it? La Rossettisserie, 8 Rue Mascoïnat (near the Cathedral of St. Reparata in the Old Town of Nice). A place for carnivores – everyone will come out happy. Unfortunately, the place is very small so you have to make a reservation a minimum of 24 hours in advance, or hope for luck. There are always several different meats to choose from, vegetable ingredients in various forms, and of course a fresh baguette and great wine. The service is very nice and they also speak English. Prices are moderate, around €16 – €18 euros from the menu. Website: larossettisserie.com. Acchiardo, 38 rue Droite. Near a Thai restaurant is a place quite special. This restaurant is only open on working days. Since they are always full, they apparently don’t have to work on the weekends. It’s worth reserving a table to eat here. Delicious food, a bit more expensive, but definitely worth the price. They serve local, French and Mediterranean dishes. Their specialty is Provencal goulash (daube), which I definitely recommend! Marcel. Bistro chic, 11 rue de l’Abbaye. 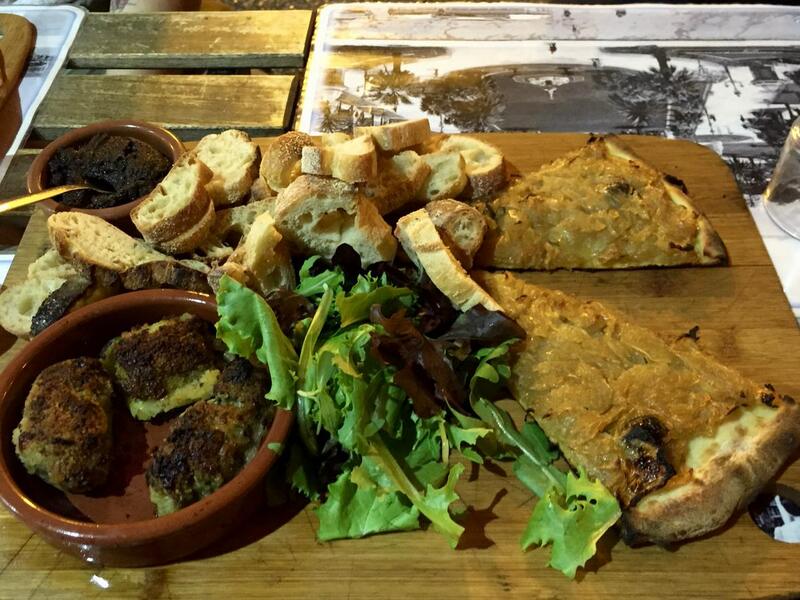 In this restaurant in Nice’s Old Town, you are able to eat tartar made from half a kilogram of meat (main course!) and a delicious steak. The staff also speak English, and my friends have talked about this place long after their visit. For an appetizer, main course, dessert, and wine, for two people, we paid 100 euros. Le Flore, 9 Cours Saleya. The market on Cours Saleya is one of the places in Nice’s Old Town. In Le Flore restaurant you can enjoy food and observe people haggling for the best goods. They speak English here, the service is nice and efficient, and the food served is fine. You can also order a plate of regional dishes like those described above in “What to eat”. Cafe de Turin, 5 Garibaldi Square. This is one of the oldest restaurants in the city, and at the same time quite expensive. However, they serve delicious seafood, they speak English, and are kind. This place is recommended in many guides. Illia Pasta, 4 Rue Droite. A tiny place run by an Italian who serves pasta made from his own production on the spot. Friendly service, tasty food and moderate prices. Nothing more is needed! Le BanThai, 29 rue Droite. If you like Thai food then you can not go past this address in Nice! The menu has only 10 traditional Thai dishes and 2 desserts of the day to choose from. I have visited this place several times, and I always leave happy. The only downside is the lack of air conditioning in the summer. The staff speaks English, so there is no problem with ordering. Prices around €13 – €16 euros. La Pizza Cresci, 34 rue Massena. This place is also in Cannes, right on the Old Port. You will eat sensational pizza here, but I do not recommend ordering the pasta. I have never been happy with it. 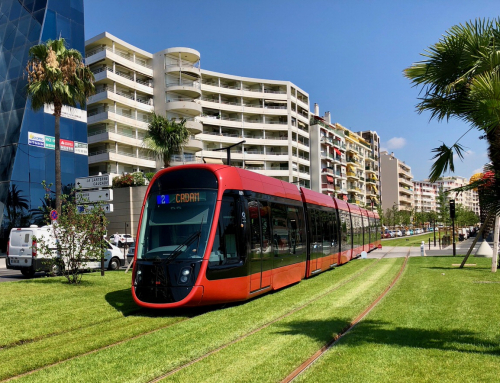 There are always a lot of people in Cresci in Nice, and the service is nice and fast. Moderate prices for a place in a tourist area. Big Fernand, 52 Rue Gioffredo. My favorite burgers! I eat there every month and I’m always happy. They also have delicious fries and a great ketchup, and can deliver orders with fast delivery. 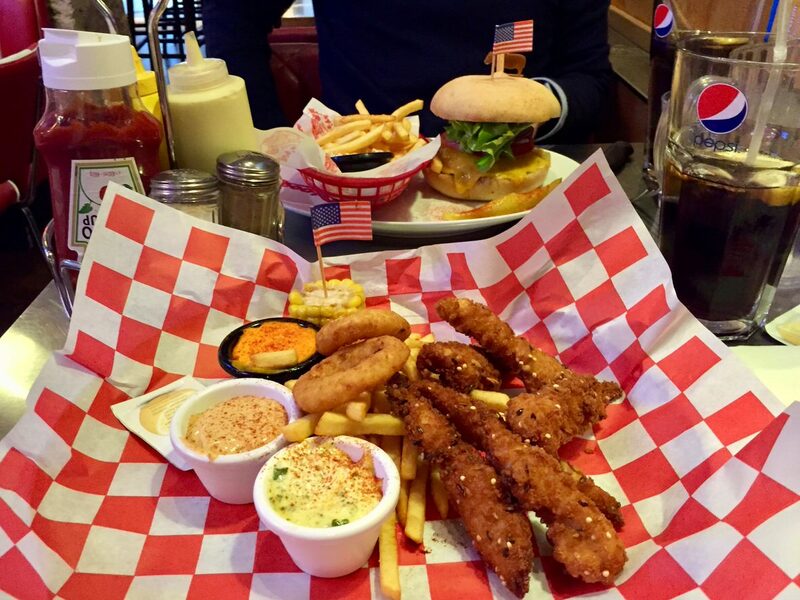 Woody’s Diner, 37 bis rue d’Angleterre. Here you will feel the spirit of America! They serve Tex-Mex dishes and classics straight from the USA. You can have real burgers in rolls baked on site, great fries coated with melted cheese and sprinkled with bacon, and ribs in BBQ sauce. Fatty, big helpings, tasty, and decent prices. The restaurant looks as if it’s from an American movie, and the staff are nice and helpful. Website: woodys-diner.com. Pôp-ô-thym, 20 Cours Saleya. This is a place right in the center of the main marketplace in Nice. The service is very friendly and they also speak English. They serve, above all, delicious sweet and dry pancakes, breakfasts, lunches, and dinners. Moderate prices and good portions. Le Barbecue, 3 rue du Four. A restaurant serving Portuguese-Nice dishes. I have never been to Portugal, so it’s hard for me to judge if dishes from that country are served here properly. I know, however, that the food here is delicious and the service is nice, but the portions are a little too big for me. They also speak English here. Moderate prices (for an appetizer, main course, and drinks, for two people, we paid 56 euros). Meat and fish dishes, pizza. Tutto Pizz ‘, 58 rue de France. Here, you will eat previously prepared and oven-heated pizzas. The service is very nice and they speak English, and the prices are really low (about €6.50 for a pizza with a soda). I put this place on the list because the pizzas are great and I often come here for lunch. Have you eaten at one of the above places? 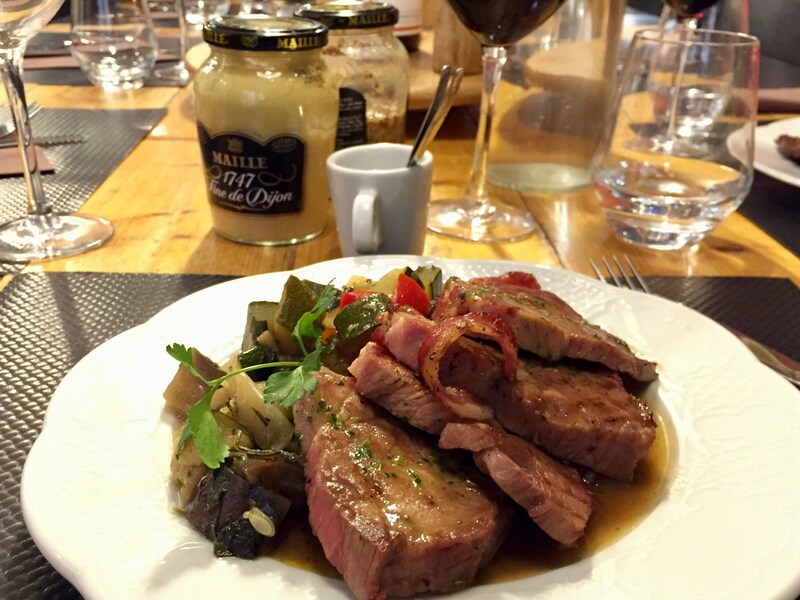 Maybe you have your own favorite restaurants in Nice or the Cote d’Azur? Describe them in a comment below! 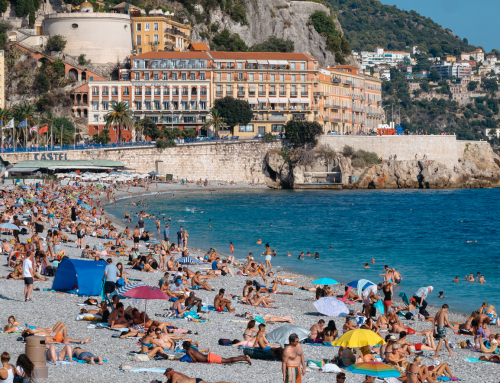 Together, let’s make a list for tourists visiting the French Riviera. 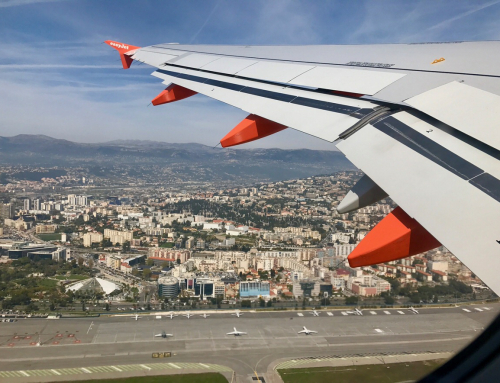 How to get from the airport to the center of Nice and other cities?